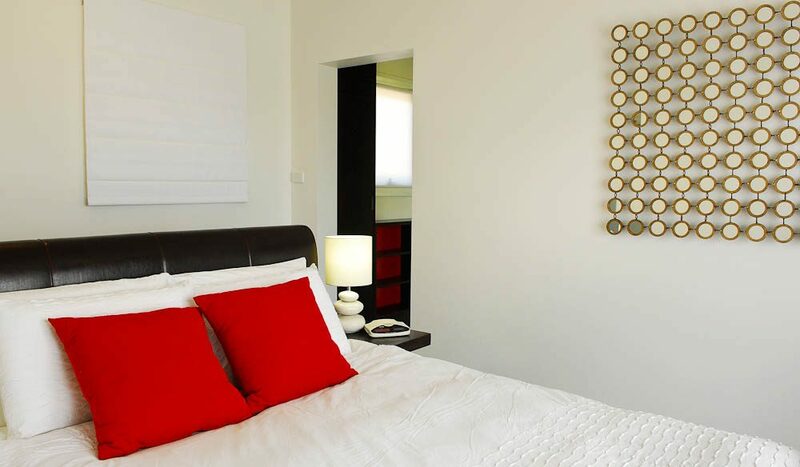 Where: Four kilometres outside the quaint township of Mudgee. 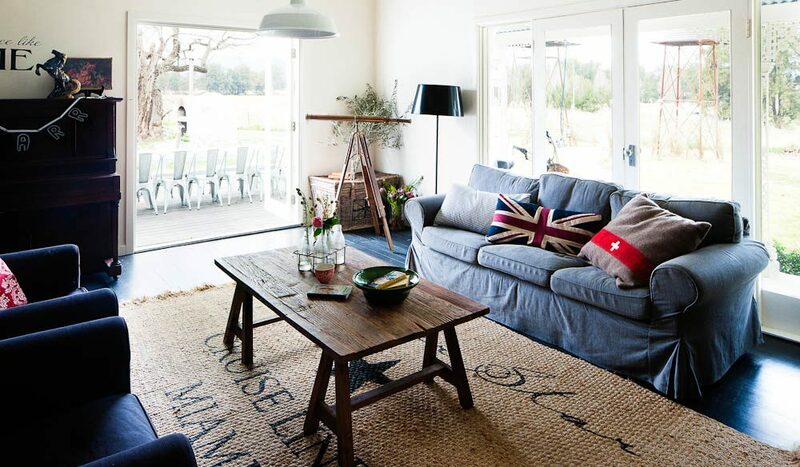 What we like: Set on 25 acres, this 150-year-old farmhouse in the heart of the Mudgee wine trail is perfectly located for a weekend of relaxation (or perhaps raging…). 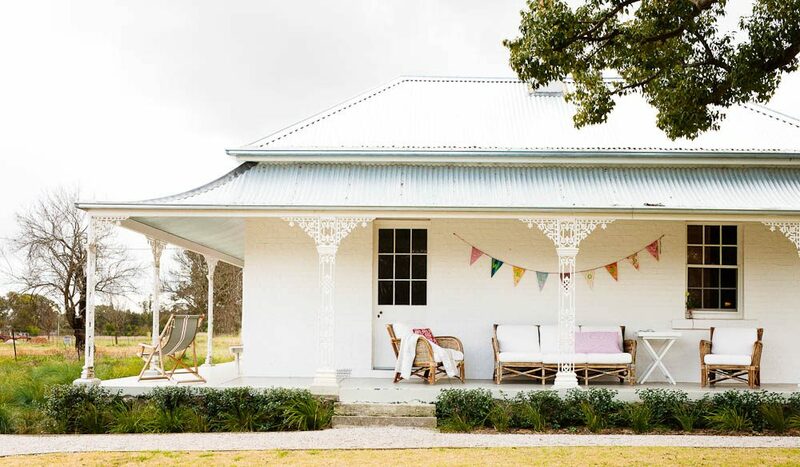 Either way, you’re doing it in style – the exterior is the ideal of country homesteads, with a fresh white bricked façade, colonial architraves, and a wraparound porch for views of the rural backdrop and passing kangaroos. Inside is all country chic: modern amenities (including gourmet kitchen appliances, a plasma TV and Xbox) mixed with restored furniture and vintage collectibles. 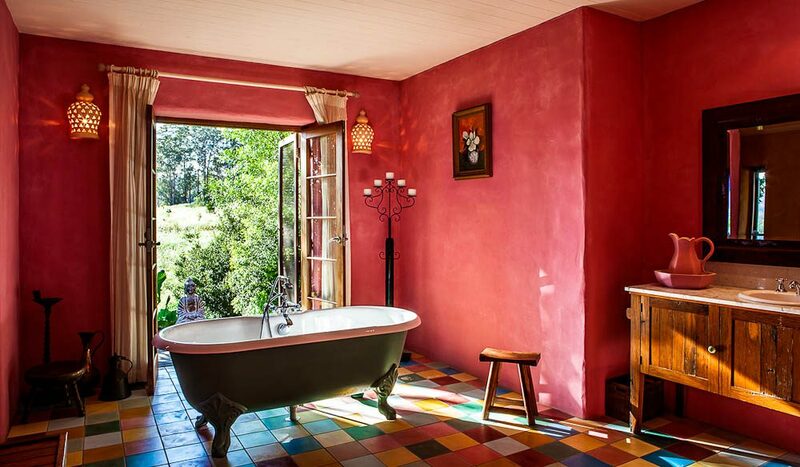 There’s even an original claw-foot bath on the porch, if you wish to bathe with nature. Don’t miss: Hire a bicycle from mudgeegym.com and cycle around the nearby Mudgee vineyards only five minutes away. There are 20 tracks to choose from; go to visitmudgeeregion.com.au for more information. Afterwards, retreat back home to one of the open fireplaces, with a glass of the local wine and some homemade pizza straight from your outdoor wood-fired oven. Who for: Wine lovers, vintage lovers, coupled-up groups, wedding parties, or a family with small children (the kid’s corner has vintage toys). 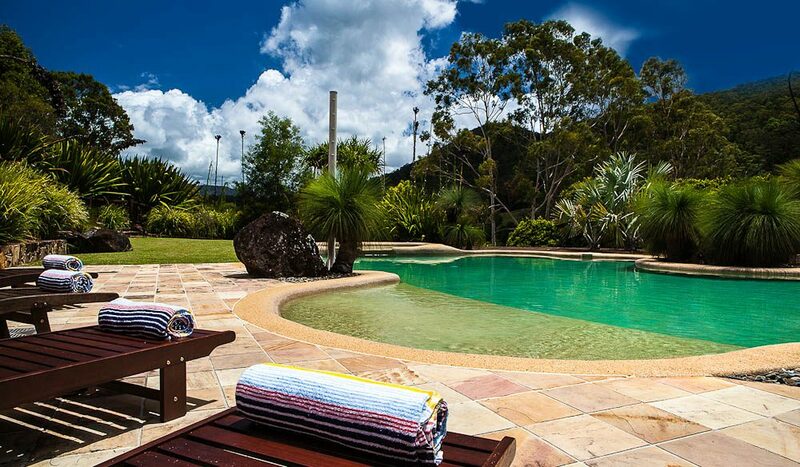 Where: 15 kilometres inland from the coastal town of Coffs Harbour. What we like: The design of this remarkable home is inspired by Tuscany with warm, earthy tones, Italian architecture and eclectic art. 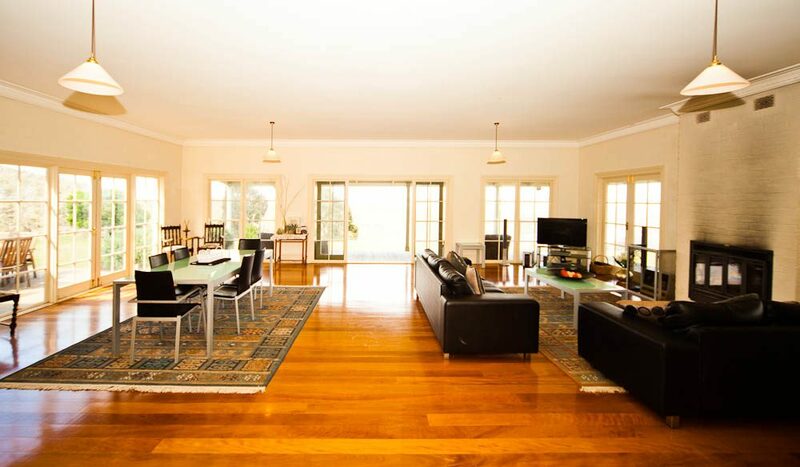 There are two large living rooms with grand cathedral ceilings, a fireplace and French doors that open on to a wraparound verandah, which overlooks 60 acres of landscaped gardens amongst the Great Dividing Range. The huge property is perfect for entertaining with a large pool and spa area, barbecue, alfresco dining and an adjoining pool house with a kitchenette, bar fridge and powder room. 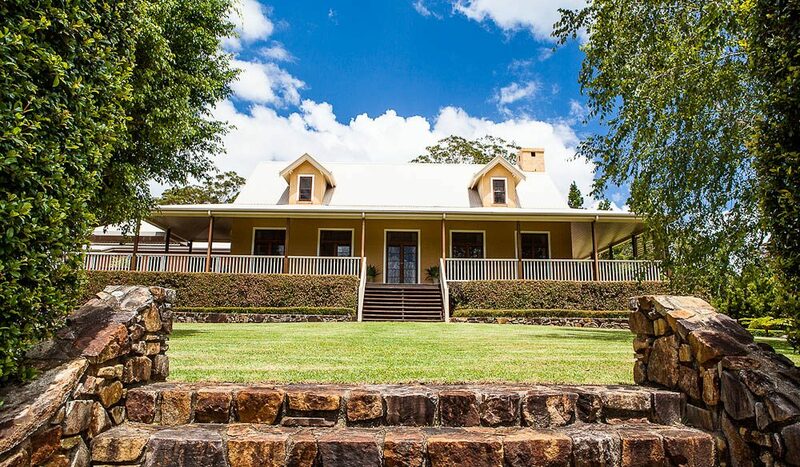 There is plenty to do on the property; a private river frontage for swimming or kayaking, large lawn areas for bocce and cricket, a children’s cubby house, a personal gym and a yoga studio. 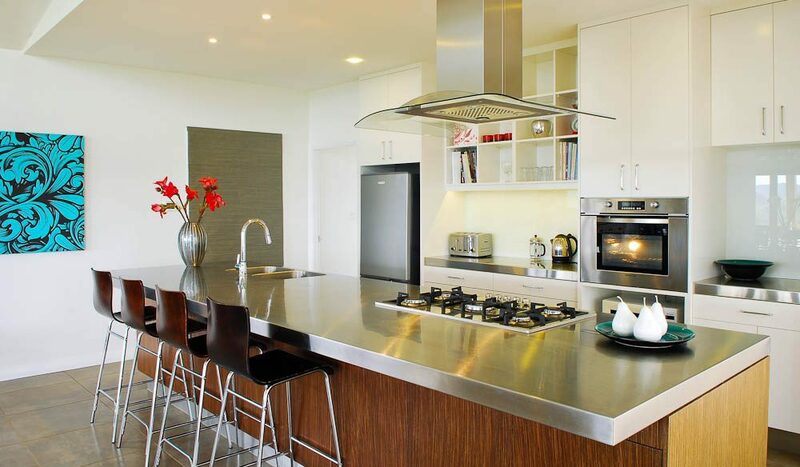 And the well-equipped gourmet kitchen is a budding chef’s dream, with your own personal herb garden and citrus orchard outside. How divine. Don’t miss: Arrive in style. Helicopter transfers can be arranged from Coffs Harbour to the estate over the Great Dividing Range – check with management for more details. Who for: Great for large groups celebrating an occasion. With a separate studio bedroom and a teenagers’ retreat in the attic, this is also fantastic for families who want lots to do without leaving the property. Where: Less than two kilometres outside the heritage town of Gloucester. What we like: The views at The Ridge are unsurpassable, set atop a hill overlooking the Barrington and Gloucester River valleys. The Ridge is close to World Heritage-listed Barrington Tops, where you can take a 4WD tour or be thrilled by the range of adventure activities available like white water kayaking and mountain biking. Or you could just stay in – the two very spacious and modern pavilions provide everything you need, with open plan lounge areas, a huge gourmet kitchen and a large deck with fully retractable bi-fold doors, taking advantage of that spectacular view. The Ridge is also very eco friendly, with fully stand-alone solar power and large water tanks to service the whole house. Full catering is also available. Don’t miss: Celebrate the local produce with a Gourmet Farmgate Tour from Gloucester (essentiallybarrington.com.au). Back at the house, sit by the outdoor fire pit on clear starry nights. Who for: Adventure-loving families, groups of friends after a secluded getaway, girls weekends. 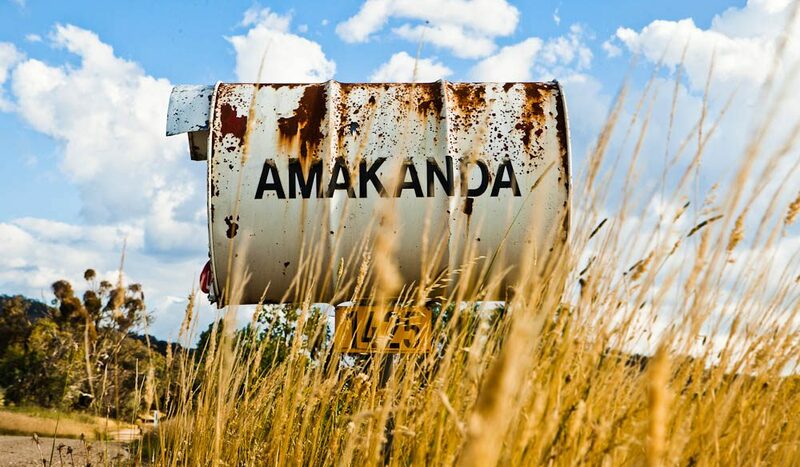 Where: On the cusp of the ACT/NSW border, 60 kilometres north of Canberra. What we like: The view. 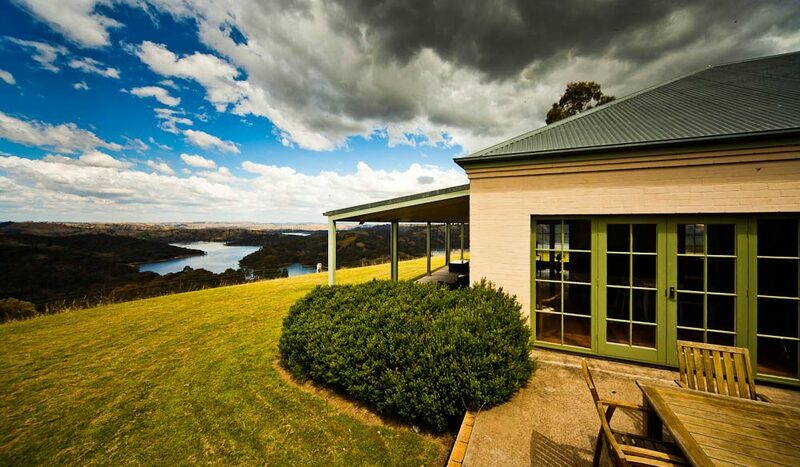 Set on 4000 acres overlooking Burrinjuck Dam, this large heritage country home truly is a private retreat. There’s a full verandah and outdoor setting to make the most of the locale, while large windows mean guests can enjoy the scenery from inside too. And with a spacious design, open fireplace and spa bath, the views are just as good inside. Don’t miss: Aside from water sports on the nearby dam, there are many walking and horse-riding trails that thread through the area. Also, pets are welcomed outdoors. I was fortunate enough to stay at Orara Valley Estate earlier this year and it is a truly unique and beautiful place. 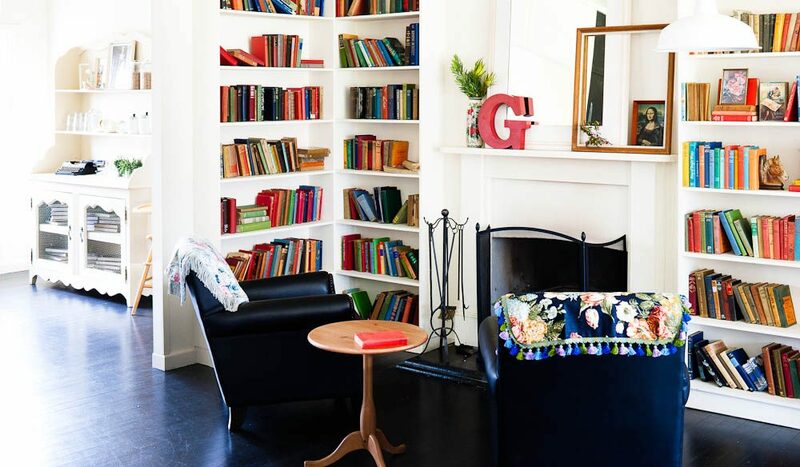 The house itself is amazing, with its stylishly eclectic decor and and sheer size. 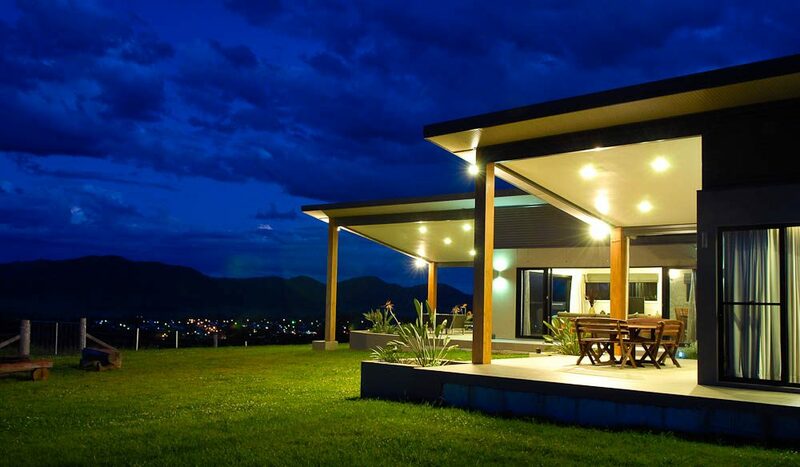 The setting in Orara valley just makes the experience even more special. All in all “Do yourself a favour” and visit there yourselves!